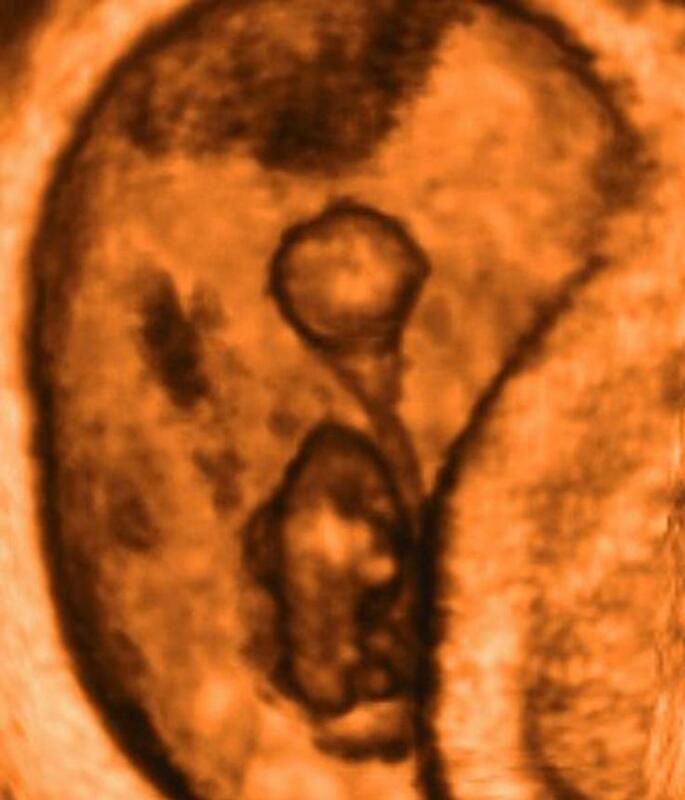 The yolk sac can be seen floating like a balloon in the amniotic cavity on its fine stalk. As the embryo has drawn nutrition from the yolk sac it has gradually reduced in both size and importance. Meanwhile the placenta (on the right) is becoming established. If you’re booking a holiday, take into account that you may not feel up to travelling on a long journey. You may have booked a holiday before you found out you were pregnant, or you might just feel like getting away. If you’re feeling tired and have nausea and vomiting, however, you may not feel up to travelling too far. One advantage of going away is being able to spend quality time with your partner and fully embrace the fact that you’re going to be parents. Wherever you’re going on holiday, make sure your travel insurance company is aware you’re pregnant and check the medical facilities at your destination. If you have any antenatal notes at this stage, take them with you. Airlines tend not to accept pregnant women on to flights once they are past 34 weeks, though different airlines have different guidelines. Relax and take the opportunity for a snooze on the plane journey, but do make sure you get up regularly to stretch your legs. It’s even more important to keep the blood circulating when you’re pregnant. Exercise can help to keep breathlessness at bay, and increase the efficiency of your heart and lungs (cardiovascular system), helping you to cope with the physical demands of pregnancy now and in later months. A cardiovascular workout involves increasing your heart rate for at least 20–30 minutes. However, pregnancy is not a time to start training for a marathon; stick to moderate-intensity workouts. A way to test if you are exercising at the right level is to talk while you are working out – if you can’t, lower the intensity. Try doing interval training, which involves alternating five minutes of cardiovascular workouts with five minutes of toning for the upper body. Breathe out as you lift the weights, and in as you relax. Breathing deeply allows oxygen to travel to your vital organs and helps the cardiovascular system to function effectively. During pregnancy, it’s important to avoid taking short, shallow breaths and to focus on expanding your rib cage and filling your lungs with air.